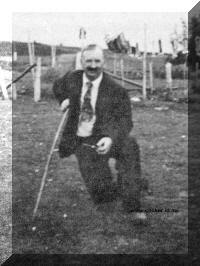 3-Osmond Christmas Walker was born on 25 Dec 1880 in Westbury, Tasmania and died on 16 Apr 1955 at age 74. Osmond married Sophia Elsie Cole, daughter of William Henry Cole and Emily Ewington, on 26 Apr 1911 in Baptist Church, Deloraine, Tasmania. Sophia was born on 23 May 1886 in Port Sorell and died on 24 Jun 1916 at age 30. After leaving school he worked on the family farm and became a first class rabbit trapper. Rabbits were bought to Sydney with the First Fleet by early colonists who built enclosures in which to keep them. By 1880 they had multiplied to such plague proportions that farmers everywhere were building fences to keep them out. Osmond also became proficient at splitting fence posts, rails and palings widely used to fence properties. Osmond married Elsie Cole, a Parkham girl and to the marriage were born two boys and one girl. The youngest son however died when quite young. Soon after they moved to Waratah where Osmond cut and loaded wood onto trucks to fire the boilers at the Mount Bishop Tin Mine. The cold wet weather of the West Coast was detrimental to Elsie's health, so the family returned to live on a small 75 acre farm at Parkham. But Elise died shortly after and the children were taken to live with their grandparents, Bill and Bertha Cole of Moltema. Osmond moved back to live with his parents and continued splitting posts and palings. He later moved to Beulah and joined Joe Warrener, also a good paling splitter. Returning to Parkham he joined his brother Thomas clearing and cropping some of their father's farm. He later purchased Finche's Farm and share farmed there for many years. 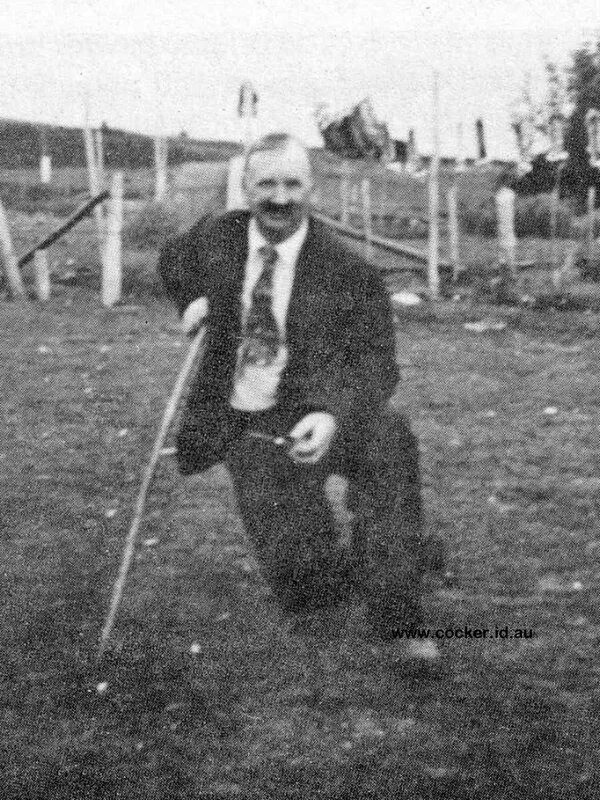 He was well known for his thrift and once purchased a spring cart from Kevin Sullivan Deloraine, paying for it with pennies and half pennies. In his retirement he moved to Burnie, living with his daughter, Mrs. Gwen Barker. 4-Gwendoline Jessie May Walker was born on 23 Feb 1912 in Waratah, Tasmania. Gwendoline married Allan James Barker, son of Ernest Alfred Barker and Esther Harriett Hastings. Allan was born on 23 Sep 1912. They had five children: Loris Jean, Neville Alwyn, Ronsley John, Noelene Kay and Bronwyn Darleen. 5-Loris Jean Barker was born on 27 Aug 1934. Loris married Neil Desmond Rockliff. Neil was born on 26 May 1928 and died on 24 Mar 1988 at age 59. They had three children: Vicki, John Allan and Neil Stephen. 6-Vicki Rockliff was born on 8 Nov 1956. Vicki married Paul Harmers. Paul was born on 8 Jul 1952. They had one daughter: Jade Marie. 7-Jade Marie Harmes was born on 27 Feb 1984. 6-John Allan Rockliff was born on 8 Sep 1958. John married Elizabeth Jordan. Elizabeth was born on 6 Sep 1956. They had three children: Casey Janet, Jordon Adam John and Sarah Louise. 7-Casey Janet Rockliff was born on 28 Feb 1980. 7-Jordon Adam John Rockliff was born on 6 Jan 1983. 7-Sarah Louise Rockliff was born on 6 Oct 1986. 6-Neil Stephen Rockliff was born on 11 Jan 1963 and died on 24 Apr 1988 at age 25. 5-Neville Alwyn Barker was born on 20 Nov 1936. Neville married Irene Stammers. Irene was born on 16 Apr 1937. They had three children: Annette, Leonie and Jane. 6-Annette Barker was born on 29 Sep 1963. 6-Leonie Barker was born on 22 Jul 1965. 6-Jane Barker was born on 30 Jul 1968. 5-Ronsley John Barker was born on 21 Jul 1939. Ronsley married Beris Jessup. Beris was born on 14 Sep 1941. They had one daughter: Jan Maree. 6-Jan Maree Barker was born on 9 Nov 1961. Jan married Wayne Barker. They had one son: Benjamin Wayne. 5-Noelene Kay Barker was born on 24 Dec 1941. Noelene married Brian Darrel Piper. Brian was born on 2 Jun 1935. They had three children: Raymond, Graeme and Kylie Ann. 6-Raymond Piper was born on 7 Apr 1965. 6-Graeme Piper was born on 10 Aug 1969. 6-Kylie Ann Piper was born on 26 Sep 1976. 5-Bronwyn Darleen Barker was born on 11 Dec 1951. Bronwyn married John Nutting. John was born on 26 May 1949. 4-Mervyn William Walker was born on 19 May 1913 in Elizabeth Town, Tasmania. 4-Wilfred Tyson Walker was born on 25 Aug 1915 in Elizabeth Town, Tasmania and died on 31 Jan 1918 in the Launceston General Hospital at age 2.